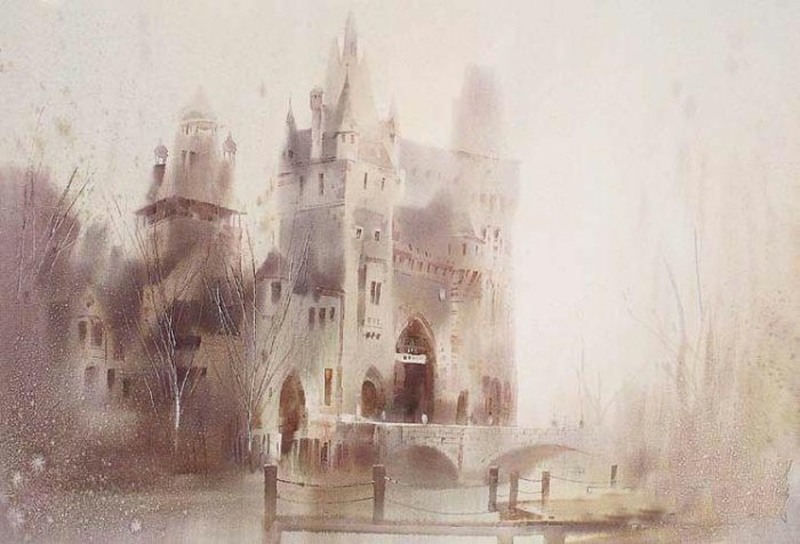 The outstanding control and harmony between the watercolor, and sketching techniques on one side, and paper on the other is something Liu Yi is known worldwide. This renowned Chinese artist skillfully blends material, form, and tones into a compact unit. The painter accents patience, creativity, and restraint in his style, but also anticipates the right moment to let go with the flow, that’s why Liu is considered a ‘water whisperer’. 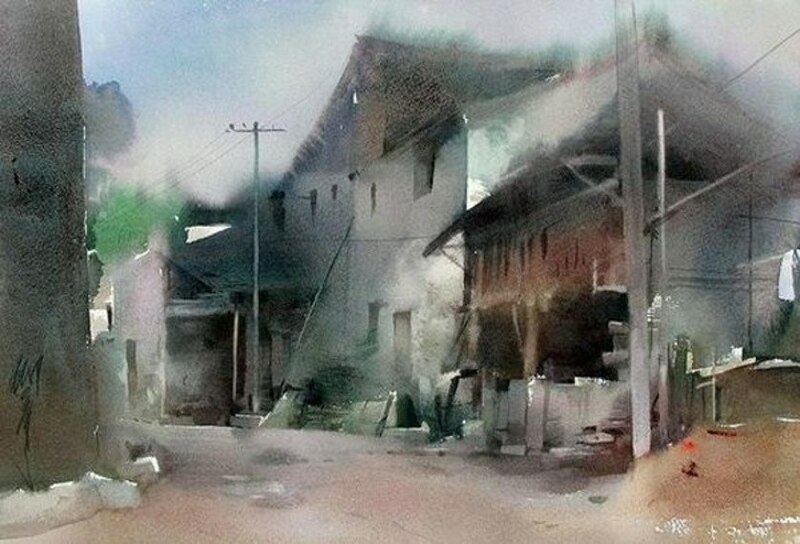 Yi’s compositions, portraits, and landscapes are very diverse, made on wet and dry paper, by using different brushes like Chinese, flat, squirrel or round, and including many details and figures. His inner voice tells him what to put and what to leave out of his artwork. Liu is very fond of using the wet technique that allows him to create coherence between an internal meaning and an external look, which is supposed to leave a strong impression on the viewers. 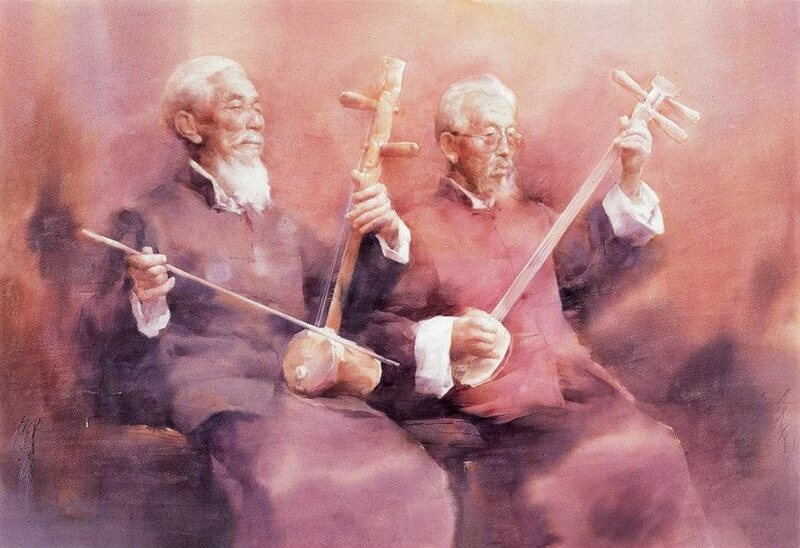 Known for quick brush painting and fast tempo in the process of making, Yi succeeds to make his art look unintentional and appealing while stressing the effect of the watercolor. Amazing skill, talent, and insert the artist owns is seen in the way he achieves incredible morality and clarity with the subject of the piece, leaving no room for confusion. Although he finds the creation of the satisfactory work exhausting and painstaking, Yi enjoys in combining elements like color, randomness, water and rhythm. The watercolor painting has a unique beauty, with softness and hardness, swiftness and steadiness, lightness and heaviness, calmness and excitement that makes a poetical narrative and establishes harmony. 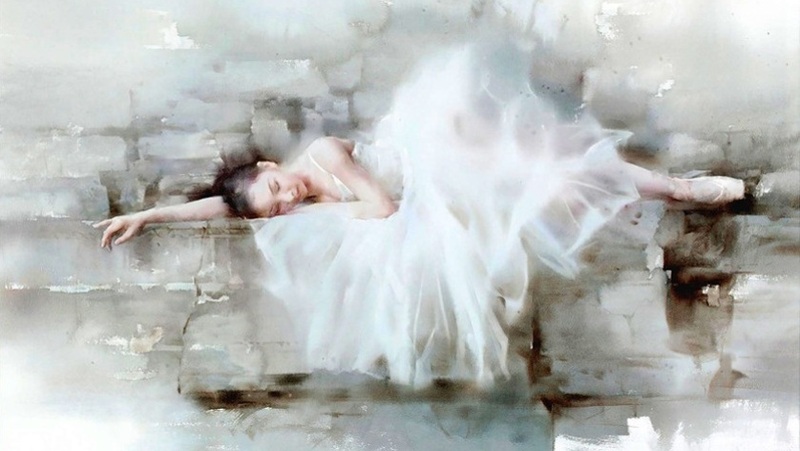 Liu Yi is famous for the series of ballerina paintings, with young girls dressed in their ballet attire as subjects. As a professor, he tries to transmit everything he knows to his students and encourages them to be positive and self-confident. The artist is a lecturer at the University of Painting and Design and a member of the Chinese Artists Association. 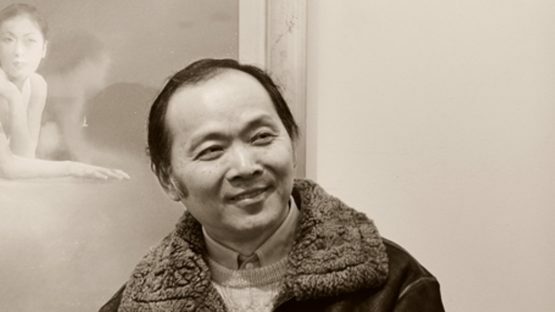 He was a Deputy President of the Shanghai Watercolor Painting Society, and now is the Deputy Principal of the Shanghai Arts and Technical College. In 2004, he got the Charles Comfort Medal in Canada. His works are displayed in numerous exhibitions, and part of both private and public collections in museums and galleries all over the world. Liu Yi lives and works in Shanghai, China.